and much more! An yes would echo to us! 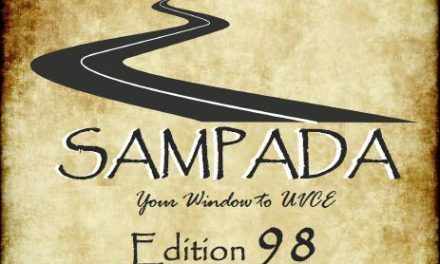 if that’s the case then now its time for you to tune into updates of namma UVCE family with yet another edition of SAMPADA, your window to UVCE! The past one month was quite a chaos, with exam fever taking a toll on students, everyone were running from the xerox shop to paying exam fees in the bank’s long queue, last minute studies and so on! 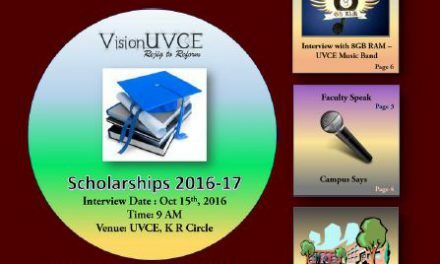 Also, last month we pitched a nostalgic edition about the graduating batch of 2016, that was from the view of final years. But they are not the only ones teary eyed, its the juniors too! So this edition we had them speak about their seniors and memories! 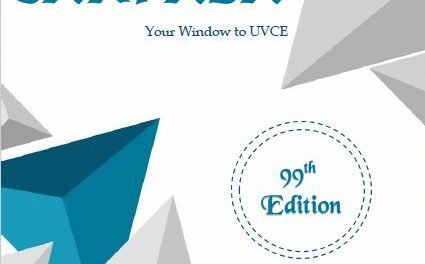 Before you are eager to click on that downloaded Sampada pdf, like we have been focusing from the last few months about UVCE centenary celebrations that are fast approaching, this edition we have more coverage about. 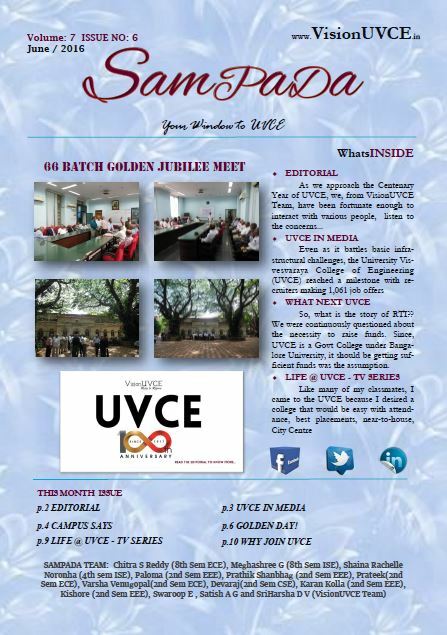 Breeze through our editorial, where from Team Vision UVCE we have voiced our ideas for the centenary celebrations and reach out to us so we can together make it a reality. 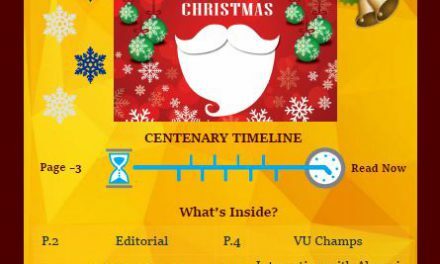 What next UVCE also has more coverage and persepctives to add to it! Oh yeah… Eid Mubarak to all our readers! So without further delay, here’s wishing you a have a great read!